The Medisafe app will integrate with Apple’s Health Records API to help consumers keep track of medications and learn about harmful drug-drug interactions. Health Records data is encrypted on iPhone and protected with the consumer’s iPhone passcode. When consumers choose to share their health record data with trusted apps, the data flows directly from HealthKit to the third-party app and is not sent to Apple’s servers. Patients of more than 500 hospitals and clinics can access their medical records in one view. 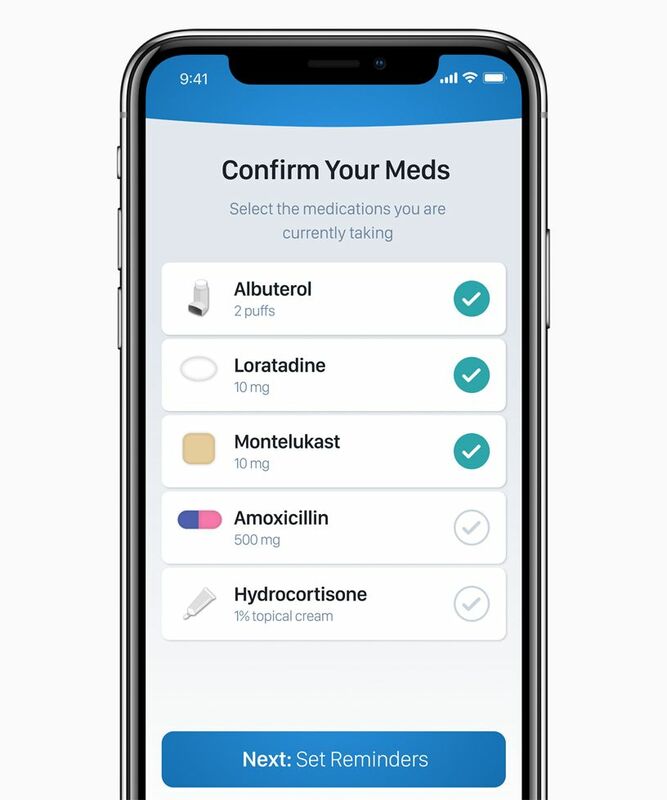 Medication Tracking: Medisafe, a medication management app, will connect with the Health Records feature so consumers can easily import their prescription list without manual entry, quickly enabling pill reminders and allowing the user to receive relevant medication information. Medisafe will be able to warn patients of problematic drug-drug interactions because they have the comprehensive view of the patient’s exact medication list from several hospitals and clinics. Disease Management: A diabetes app could access a patient’s lab results from their Health Records as well as their diet and exercise details through the existing iOS HealthKit integration, allowing for a more complete picture of the consumer and the best ways to encourage them to stay on track. Nutrition Planning: A healthy eating app could offer consumers tailored programs based on their high blood pressure or cholesterol results by serving up low salt or high fiber meal plans. 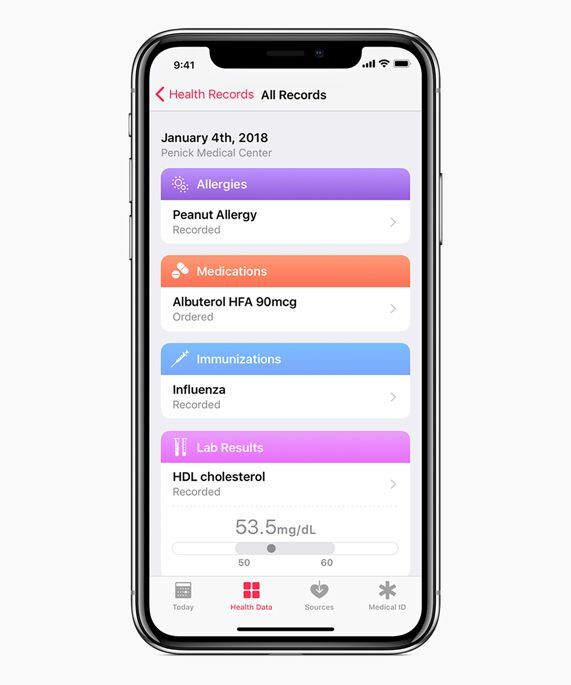 Medical Research: With the new Health Records API, doctors can integrate patient medical data into their ResearchKit study apps for a more complete view of their participants’ health background. Traditionally, researchers used arduous survey questionnaires to determine pre-existing conditions, which puts the burden on the patient to remember the details. Now, with the participants’ approval, researchers can access that patient-specific information to ensure more comprehensive research. This integration continues Apple’s commitment to providing the medical community with ResearchKit tools that could further their discoveries.